After all this time, it’s a strange and melancholy thing to see Telltale draw one of its many choice-driven interactive stories to a definitive end. After all, this was the franchise that put the California studio back on the map, with a fine-tuned formula that took everything that made Robert Kirkman’s original comic story so influential and turned it into something truly consequential. But after six years of heart-breaking survival, it’s finally time to say goodbye. As that story has grown, so has the character at the very heart of it. When we first met Clementine, she was a terrified child thrust into a civilisation collapsing in on itself, but as the seasons have passed we’ve guided her through an unconventional childhood littered with painful choices. Friends have come and gone - often with bloodshed and sorrow in tow - but as The Walking Dead: The Final Season: Episode One begins (suitably entitled ‘Done Running’), Clem and young companion AJ find themselves with the chance to seed some roots that might actually last. Of course, this being TWD, it’s never that simple and nothing good in this universe comes without a sobering amount of sacrifice. Make no mistake, this is a story as bleak and emotionally-draining as the ones that have come before, but there’s a far more noticeable attempt to give its central duo a little more time to breathe from a narrative perspective. 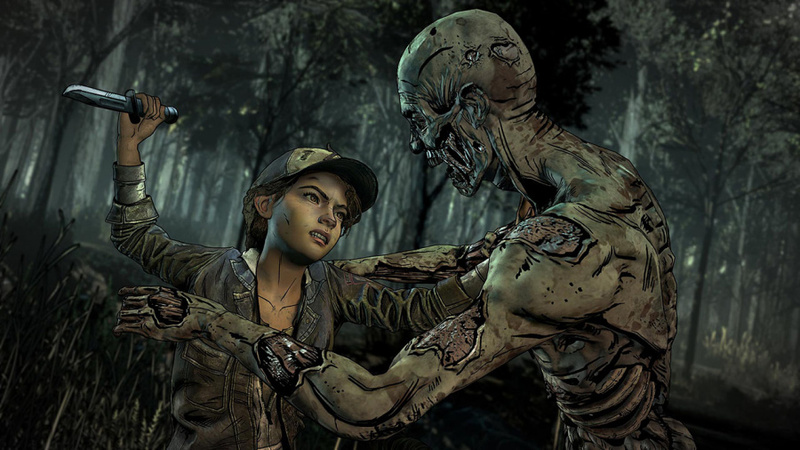 The cyclical nature of its story - where Clementine has transitioned from helpless charge to capable guardian - is clearly at the forefront of the writers’ minds with many a callback to the lessons she learned under the care of damaged mentor Lee in Season One. This being the first of four episodes, the writers have tried to cram a lot of content into this first episode, but while it showcases one of the series' more shocking moments it also leads to some very uneven pacing, with the large cast of new characters barely given enough time to make an impression. With only three episodes left in the entire franchise, you can't help but feel most of them are redshirts in all but name. The new setting - a secluded school that’s been taken over by the surviving children, with every adult having long since abandoned them - also serves as a fitting backdrop for a main character who was forced to sacrifice her childhood so abruptly. You and AJ have your own room on campus and any collectables found in the world can be added as decorations to create an actual home. This new environment also brings with it a number of fresh locations to visit. One moment you're heading down to the river to catch fish with a homemade spear, the next you're hunting in dense woodlands for food. You’re not free to visit these places as and when you want, but it’s great to be able to inhabit different locations - along with the narrative divergence these paths provide - effectively providing even more replay value for additional runs. While there’s still your usual focus on dialogue-heavy scenes and QTEs reduced to lining up a cursor and pressing ‘ZR’, there are also a few more ‘open’ sections where Clem is able to explore certain locations. She’s noticeably easier to control than in previous seasons, but the combat in these sections fails to gel as it’s far too easy to be overwhelmed by walkers thanks to the QTE-centric combat. This is the series’ debut on Nintendo Switch (and on Nintendo hardware, full stop), which is both a blessing and a curse for Clementine’s swansong. On the one hand, this is a storytelling formula ideally suited to a mobile platform and Telltale has done a commendable job of porting it to Switch; granted, there's a noticeable amount of asset blurring in the background when navigating outside and plenty of rasterised textures on character models throughout, but there’s almost no slowdown to speak of. However, for a series built on the investment of time and choice, it’s frustrating that none of the previous seasons made it to the platform prior to release. If you're a Nintendo diehard who is coming to this totally cold, you're going to lose some of the impact. 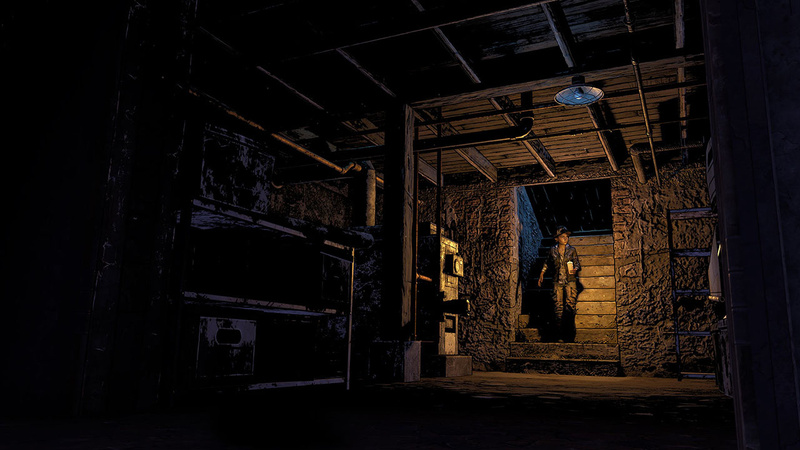 However, if you've played the previous seasons on other platforms you'll be pleased to know that you can link to your Telltale account, making it possible to import save data from the unremarkable Season Three; there’s also an opening interactive cinematic that enables you to re-choose some of the franchise’s biggest moments (thus informing some of Clementine’s frames of reference later on). Still, the opportunity to play her story from Season One to Four would have been preferable, especially when you consider this is the culmination of six years of character progression. It also demands a lot of Switch - don’t expect to play the entire two-and-a-half hours or so of content in this first episode in one sitting in handheld mode. Your battery simply won’t make it. This is just the first chapter in a four-episode season, and buying the Season Pass means you'll get access to three more episodes as and when they launch. We'd be amazed if the other episodes don't match the same quality as this opener, but it's worth keeping in mind that this review is based only on episode one. 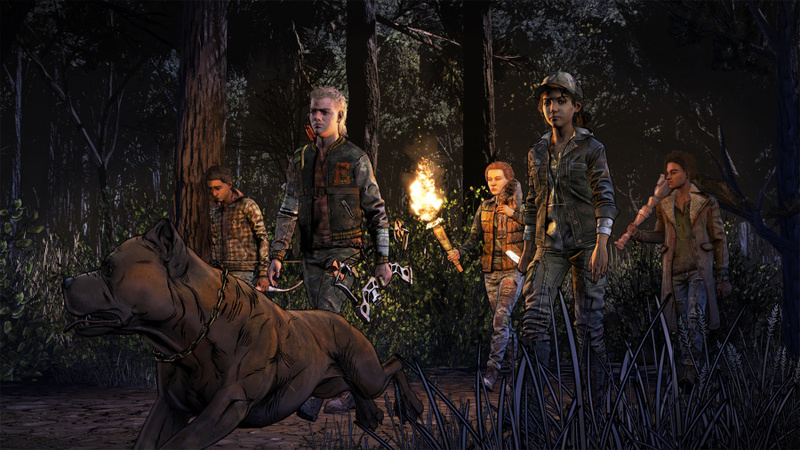 The Walking Dead: The Final Season - Episode One’s pacing might be all over the place - leaping from intense walker showdowns to sombre moments of reflection, and back again - but it's still the best the series has been in years. 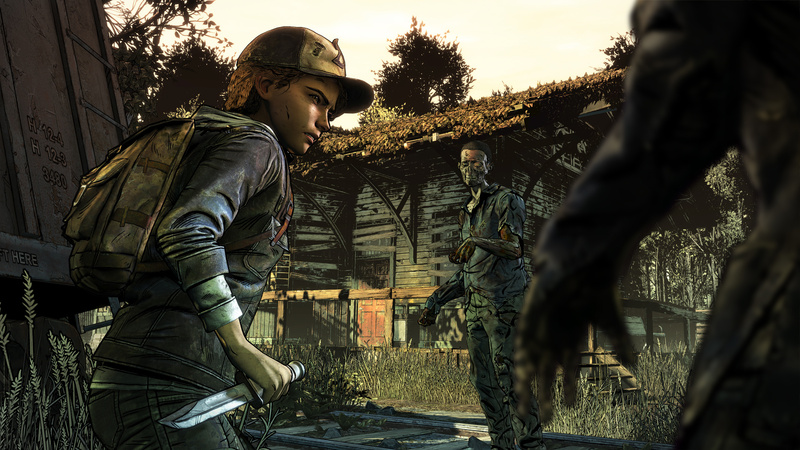 Clementine’s character continues to evolve and grow with nuance, and the changes to character controls make navigation and combat far more palatable. 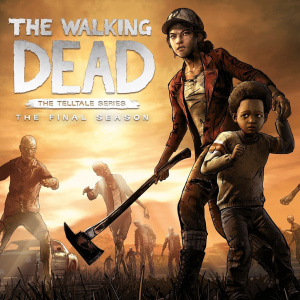 While it’ll be a bittersweet goodbye to Clem and AJ when we reach the final episode later this year, it looks like Telltale could be giving one of gaming’s most nuanced and well-developed heroines the farewell she deserves. Are people still playing zombie games? @Nincompoop You ask it like there is some directive we should all be following! Does anyone know if the prequels are coming to Switch? I skipped season three plus the two side-story ones. Is it worth going back in for this one if I have no intention of backtracking? @dystome I think so, especially as this is the best the series has been since S2. @Nincompoop I think that zombie games flooded the market for a long time and overstayed their welcome. I think they dragged this out too long personally and that the appeal of the game play system wore thin the longer and more you played their games but if other people enjoy them that's not really my concern. If at the end of this season a full collection of all the seasons and side stories is released physically on Switch, I'll let it bite me again. If they give us the previous seasons on Switch, I will happily double dip and buy the whole series on Switch. If not, I will just pick up the game on a steam sale next summer or something. They don't need to give me a physical release (though I'd certainly buy those versions) but I don't want to pick up just the final season on Switch. @dystome ermm.. season 3? There have been 2 seasons and 3 dlcs, 400 days, Michonnes mini series and then A New Frontier. I want to get this but honestly not without the other seasons available on Switch. It just seems wrong to have a story telling game without the previous parts of the story available to you. Great series (along with The Wolf Among Us) but I already own the rest on Xbox One so would like to finish the collection on there instead. Really open to the idea of more Telltale games on Switch and would buy new series for Switch over Xbox One.